I was living in Northern Virginia at the time (9/11) and had a view of the Pentagon from my place. A friend called to tell me about what was happening in New York City. I looked out of my window and saw an explosion at the Pentagon. With my brother, sister and her husband all living close to the World trade Centre, I wanted to make sure they were OK. At that point, I had no idea of the magnitude of the event that was transpiring. Neither did my parents. I got off the phone with my mother with no inkling of any issue with my siblings. When I saw the towers fall on television, I went into a state that is hard to explain. In retrospect, it was disbelief. It turned into all the things we were taught as kids during the Cold War. I was afraid that the United States was being attacked everywhere and I looked to the skies and the television for any sign of our military response. Sneha being a doctor and living two blocks from the WTC, there were many possible scenarios that ran through my mind that resulted in the loss of her life. Of course, I hoped that none of these scenarios would come true. Solving problems is what I do. It didn't occur to me that this was not solvable. It took me many, many years to even say, 'Sneha is gone.' To this day, I refer to her as 'lost,' not 'dead,' in 9/11. When we were young, I called her chechi, the term for an older sister, even though she was younger (by 13 months). When we moved to the United States, Sneha and I were the only people our age who we knew could understand us, since we didn't speak English. I can honestly say that she was the only person that understood me and vice versa for the early years of our lives. As long as I can remember, Sneha wanted to be a doctor, just like our dad. She was so talented in so many other things. She was a classical musician, writer and artist. She had the sense and ethos of a creator. I felt extremely traumatized, as did the rest of my family and friends, when her name was removed from the list of the dead at Ground Zero. Was it not enough that the officials would not help to find out what happened to her because they said it was assumed that she died in 9/11? Then they turned around and said that there was no proof that she was there and took her name off the list. The final act of reinstating her on the official list might not seem like much to many, but it was the deletion that was so hurtful not the lack of inclusion. The money (the compensation that Sneha's family didn't get) wouldn't have brought her back. But it is a travesty that we had to suffer so much beyond the devastating loss and yet we were the only ones who didn't receive compensation. The fund was closed by the time we got the official death certificate stating she died at the WTC on 9/11. Something could still happen. You never know. Sneha is missed in our lives. Holidays, birthdays, time with my nephew Nikhil, whom she never met. She would have been a great aunt and mother. Each one of us in the family has to consciously make an effort to live beyond the sadness caused by her absence, but (the 10th anniversary of 9/11) is a historic day and we will embrace it as such. Ron will join us as well. The tragedy has brought us closer and given us a very different outlook on life. We have learned to appreciate things in life that might otherwise have been taken for granted. For Kevin Philip his older sister is a huge part of what he is today. I was living on 88 Greenwich Street, two blocks south of the towers. I had a terraced apartment facing the towers. My alarm clock woke me up at the same time the first plane hit the first tower. I woke up and went out to my terrace and realized the first building was on fire. I turned on CNN; at that point even the reporters were not sure of whether it was a plane or not. Shortly after, they identified it as a plane. I went back out to the terrace, watching the mayhem from my terrace. Then the second plane literally went above my building, over my head, into the second tower. It was the most devastating sight I had ever experienced. I was scared and confused, but I could not take my eyes off what was happening before me. As the building burned further, my heart started to sink further. Then I saw the first person jump from the building; it was hard at first to distinguish whether it was debris or a person. When I realised it was an actual person, my stomach began to turn and I threw up. I remember tears falling from my eyes. Then I turned completely cold, just staring at the destruction, paralysed by confusion, fear and sadness. Then there was an explosion that I heard and the building started crumbling before my eyes. I was a statue watching it fall, asking myself how this could be happening. Then the pyroclastic cloud started rolling down Washington Street towards Rector Street. I think when it was a hundred feet away from me, I ran off my terrace into my apartment. The impact of the cloud debris came from behind me and threw me to the floor. I was covered in black smog, and for a moment I did not know where I was. I coughed incessantly and crawled out of my apartment. The fire alarms were going off and people in my building were running, crying. Just chaos. I sat against the wall. Then I took the elevator 11 floors down to the lobby. They evacuated us to the basement where they had computers set up. I used the computer to instant message my mother, to tell her I was alright. The basement was filled with hysterical people. There were no television sets down there. After 30 minutes, I snuck out of the basement into the stairwell and walked back up 11 floors to my apartment. There was soot, papers, things from the building all over my apartment. I walked out to my terrace to look out to where the towers once stood. Both had fallen. I remember looking into the center of the first building that had fallen, its shape in shambles formed this 'V' and the sun forced light into the gap of that 'V,' right through the smoke a site that is forever imprinted in my mind. Perhaps it was a light that formed a bridge for the fallen innocent souls that had died that day. My eyes were soaked, my throat was dry, the smell of a burning world around me. It was a moment of the most absolute pain and loss that I have ever felt in my life. I looked into the sky and asked God why I was to see this light and feel this pain. I realized the world had changed forever. At this point I was covered in soot and dirt, my skin grey and parched. I showered, grabbed my backpack, put clothes and other stuff into it knowing that I would not be coming back to my apartment anytime soon. I went downstairs to the lobby, where the superintendent was giving out masks at the front desk. He told me to go back downstairs, but I refused. I left the building exiting on Greenwich Street. It was cloudy and dense with white debris of fog that suffocated the lungs. My eyes burned. I saw two officers and asked them where I should go. They were confused as well. So, I walked west on Greenwich, west on Wall Street. The debris covered the streets all the way to Waters Street. I went to the South Street Seaport. They put me on a big tug boat with other refugees from downtown. The boat brought me up the East River. I saw masses of people escaping the chaos walking over the Brooklyn Bridge and the dark clouds of smoke combusting over Ground Zero. The boat dropped me off on 33rd on the eastside pier. I walked to Second Avenue and went into the Irish bar. I had a drink to ease my nerves and walked to the East Village where I gathered and convened in safety with my friends. I tried calling my sister and I could not get in touch with her. But I did not think she was in the towers. The next morning when I woke up, I called my mother. She asked if I had spoken to Sneha. My heart dropped. I told her that she was probably alright and I would get in touch with her. I called Ron (her husband) and he too was at a loss. I made many calls, but to no avail. Then I spoke to Ashwin. He designed fliers with her face on it. I gathered my friends, who were very helpful, and we began to put out the fliers on the streets of New York. That went on for weeks. When it all happened, I never wanted to believe she was in the towers. It was too painful to think that way. The mind and heart often think of anything to protect itself from pain and loss. In the beginning it was too premature to say, and the fact that she didn't work there gave us the only hope to exhaust every possibility in finding my sister alive. There was a battle within me between accepting her death and the hope of embracing her again. I was younger than her. She would smother me with affection and baby me. She would constantly play with my ears and I would always tell her to stop. I always trying to show my independence, but I was always her baby. My mother always told me that she treated me as if I was her own baby. She loved me and always made me feel smart and handsome. She believed in me more than anyone in my life, and she understood who I was. She always accepted me the way I was. She was full of excitement and joy. I remember us dancing in the family room to the Beatles when I was 13, her introducing me to amazing music. At the dinner table with the family she would always bring up politics and argue her points articulately. My friends loved her, often telling me she was the smartest, most intriguing woman they had ever met. She had such a presence about her. She could converse about anything and open one's mind to new ideas. She was soft, yet strong when she wanted to be. Her integrity was deeply rooted in philosophical ideas that were thought out in an endless discussion of truth. Her truth was embedded in great empathy, though she loved fashion and beautiful things, it was not for its vanity, but for its form. When she bought clothes she appreciated the intricacies of the knit, the energy of the colors. She loved to express herself in so many forms music, art, and, of course, conversation. There was not a boring bone in her body. She really knew how to live. She saw beauty and recognized it in people. She was sophisticated yet so playful. So well rounded, that anyone who ever met her knew she was special. Weeks before her passing, she was at my home two blocks away from hers. We were having dinner on my terrace and she talked to me about her dying cancer patients, not as if there were dying, but by their first names, as if they were her friends who were healthy and alive. She talked about their conversations, about what they liked and who they were. She made you feel like the most special person on earth, because you knew when you were with her it was always a very special time. She is such a part of who I am. Through all the tragedy and unfairness life has brought upon me and my family, I know from the very words I write here that she still lives in my soul. Kevin Philip is vice president, Image Branding, a marketing and PR company. No one knows how Dr Sneha Ann Philip died on 9/11. 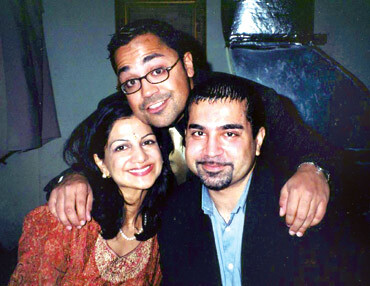 Tragedy struck Dr Kochiyil Philip's family a day before September 11, 2011. It continued for years with uncertainty, court cases and, unlike other families, without compensation. Of Sneha Ann Philip's last hours on earth this much is known: On Monday, September 10, 2001, the 31-year-old physician doing her residency in internal medicine was in her one-bedroom Battery Park apartment, not far from the World Trade Center, enjoying the start of a three-day break from work. Around 2.30 pm, she and her mother Ansu Philip, a computer professional at Duchess Community College, New York, chatted online for the better part of two hours, Ansu recalls, meandering through both interesting and mundane topics. Close to 5 pm, Sneha told her mother she had some errands to run. The security cameras monitoring her apartment show her leaving the building at 5.15 pm, dressed in a short-sleeved brown dress. She walked past the Twin Towers, to a Century 21 store, where she bought some lingerie, a dress, some linen, two pairs of shoes. At 7.18 pm, she checked out her purchases at the counter, and charged $550 to her credit card. Her husband, Dr Ron Lieberman, who then worked at the Jacobi Hospital, Bronx, came home around midnight. Sneha was not home, but he thought nothing of it. 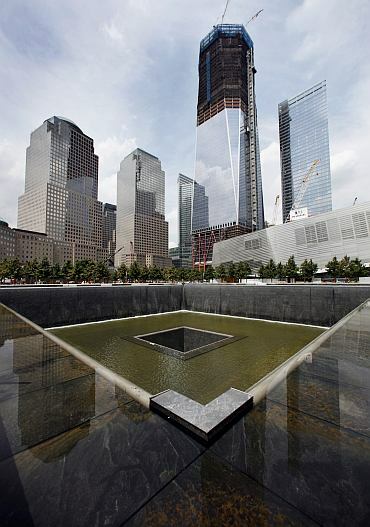 Sneha often spent free nights in her brother Kevin's apartment, also two blocks away from the WTC. The most detailed investigations, by both official and private inquiry agencies, have failed to trace her moments over the next 14-odd hours, from the time she stepped out of Century 21, until shortly before 8.46 am the next morning. The only other sighting of Sneha comes from the security camera monitoring her apartment building. Shortly before American Airlines Flight 11 slammed into the North Tower, the camera picked out the image of a woman who looked like Sneha, dressed like her, moved like her. The glare of the early morning sun made the image hazy, but Lieberman believes the woman seen entering the building, walking towards the elevator, pausing for a moment or two, and then exiting the building was his missing wife. And then, nothing from that day to this. She was victim number 2,750 of the World Trade Center terrorist strike. For two years, she was named, honored, mourned at the annual commemoration event marking the tragedy. Then, abruptly, her name was removed. That honor was denied her, she was reduced to yet another casual statistic on New York's crime charts a statistic over which looms an enormous question mark. The family went to court, but a single judge justified the order of the New York City's Office of the Chief Medical Examiner. Later the appeals court agreed with the claim of the family that she died at the WTC and her name was brought back to the list. The family believes that just as she entered the building, she learnt of the first attack on the WTC. True to her profession, she rushed to the site, to help if she could. And somehow, somewhere in that chaos, she lost her life, trying to save those of others. When her name was first taken off the 9/11 honor roll, Ellen Borakove, the spokesperson for the CME's office, justified the action, saying that the authorities had no tangible evidence linking her death to the WTC tragedy. 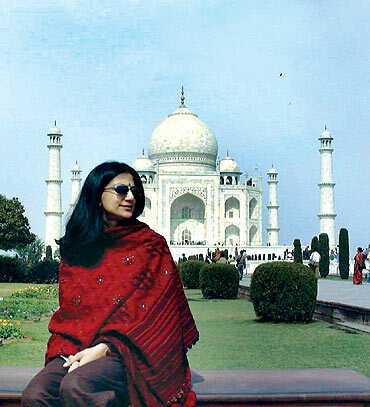 "Dr Sneha Philip disappeared the day before the tragedy," Borakove told India Abroad then. "We could not include her name without sufficient proof." Borakove said the list would be amended, that names including Sneha's would be added if ongoing DNA testing of recovered body parts yielded any evidence. Ansu then pointed out that only 1,538 of the 2,749 dead were identified on the basis of DNA evidence. If DNA evidence was not needed to name the other 1,211 people as victims, why was the absence of such evidence used to knock her daughter's name off the list, she asked. 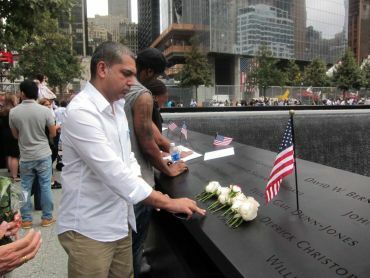 Ironically, Sneha's parents and husband, whom she met while both were students at Chicago Medical School, and married in May 2000, initially did not want her name included in the list of 9/11 victims in the hope that she would come back. 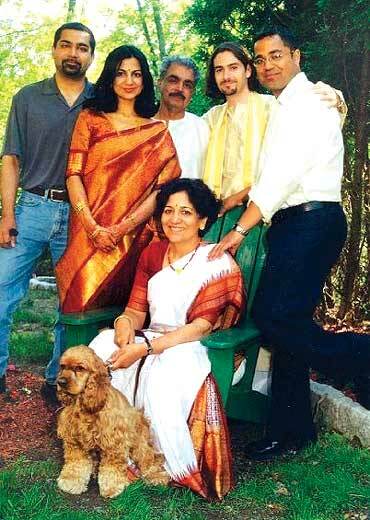 The family retains its home in Poughkeepsie, a suburb of New York, exactly as it was when Sneha was last seen. "She always wanted to keep this house, so that the family could come together once in a while," Ansu says. Other memorials exist. A plaque, installed at Duchess Community College honors the memory of Dr Sneha Ann Philip, October 07, 1969 to September 11, 2001. The Marthoma Doctors Association has instituted a memorial fund in her name. An educational fund has also been set up at her former school. Lieberman remained faithful to her memories for almost nine years. He remained part of her family, as rare as Sneha's story. Last year, he married a medical professional in El Salvador. The ceremony was held in California, where Lieberman now practices medicine. The Philips are happy about it. "I don't think I could have ever found a better husband for Sneha than Ron," says her elder brother Ashwin. "The fact that he was not Indian was never a relevant point for any of us. When I met him for the first time, I thought that he might be the nicest, most caring, and loving person that I had ever met." "We are very happy that he got married and moved on from the tragic memories. He is a wonderful person," Dr Philip adds.